Kids are always looking for something new. Spice up your existing play set with any of our great accessories. 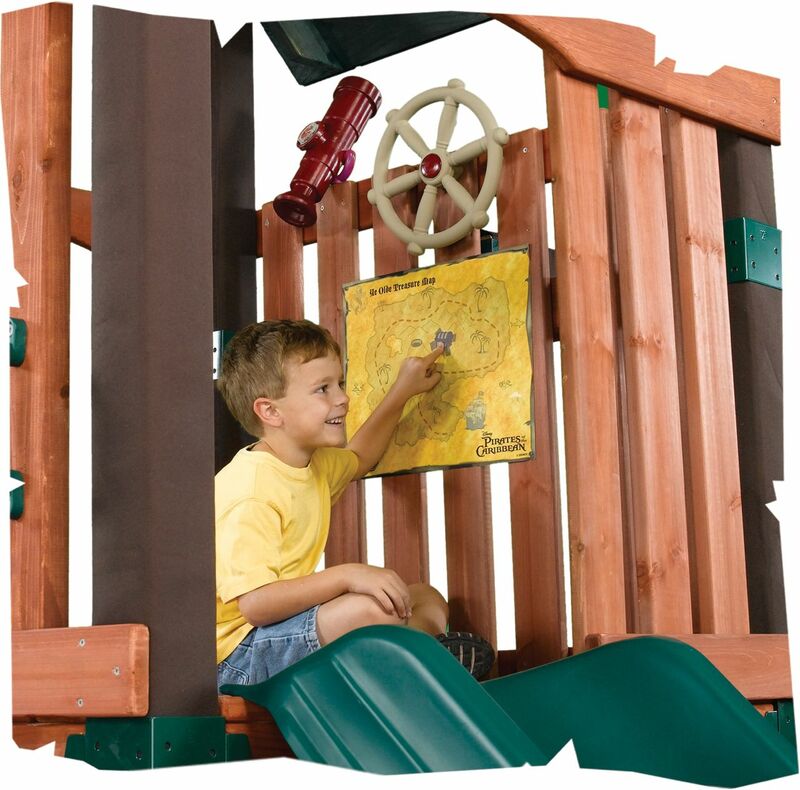 My favorite of our accessories is the Pirate Swing Set Accessory Kit. 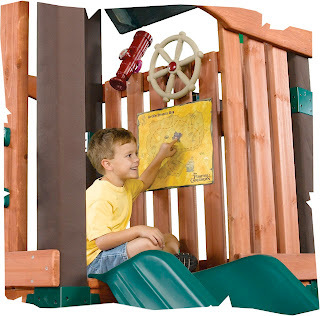 Sail the high seas with the Pirate Ship Wheel. See what is in the distance with the Telescope with Working Compass. Follow the Pirate Activity Map to locate a buried treasure! This kit comes with everything you need to encourage imaginative play and will keep your kids busy for hours.